Nestled below Pinder Peak is Atluck Lake. Vancouver Island camping for free in all its beauty with sandy beaches and rocky shorelines. 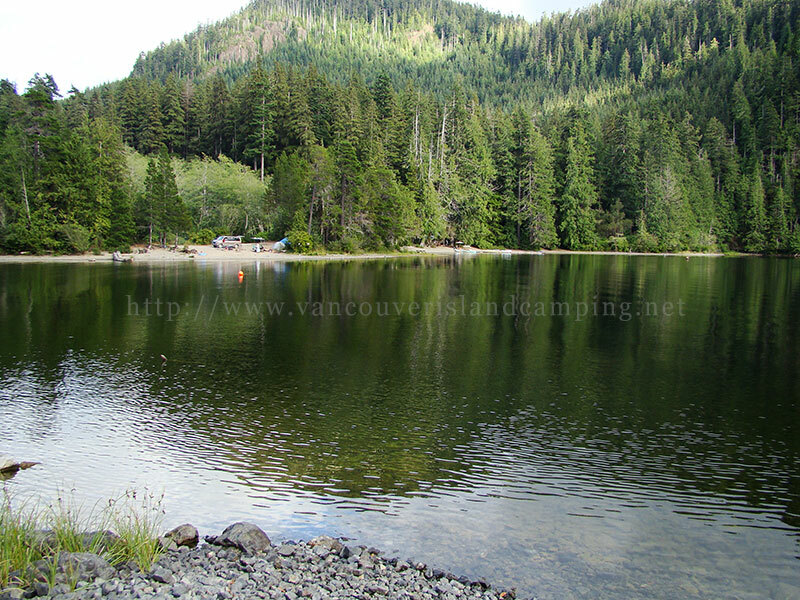 This is one of the islands best kept secrets for a free campground. I enjoyed it so much I came back to it twice. Atluck Lake has four access points for camping with one of them being a larger sized campsite than the other two and one is just a road down to the waters edge.